Our years of experience performing septic inspections have given our team the knowledge and expertise needed to efficiently assess septic systems of all sizes and types in Tampa, FL. If you are looking to add a septic system to your Tampa, FL property, a necessary step in this process is a septic permit application. Call us immediately if something doesn’t seem right with your septic drain field in Tampa, FL. Our team has over three decades of experience performing package plant installations in Tampa, FL and is committed to your complete satisfaction. We offer 24-hour emergency service for septic system repair and will come out to your Tampa, FL property right away if there’s a problem. 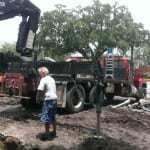 Serving Tampa, FL with 30 years of combined experience in the septic industry. WE EXCEED OUR CUSTOMERS’ EXPECTATIONS WITH SEPTIC SYSTEMS THAT ARE PROPERLY DESIGNED & COST-EFFECTIVE. When you turn to us to design and install your residential septic system, we will provide you with as much service as the project requires and use our experience to get the job done right. We offer 24-hour emergency residential septic services so we can get to your home quickly and solve the problems as soon as possible. Septic tanks are common throughout rural areas, since they provide a practical solution for homes and offices that are far away from waste processing facilities. At Southern Water & Soil, we offer septic engineering to build and install the perfect septic system for your residential or commercial property in the Tampa, FL area. One important part of a septic system is the septic drain field, which allows liquid to exit the tank throughout perforated pipes and go into the ground. It is an expensive part of the septic system, so if it has a problem, it is often a costly repair. 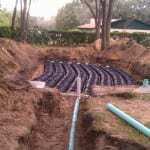 At Southern Water & Soil, we offer septic drain field service and repair for your Tampa, FL property. At Southern Water and Soil, we are the single-source solution for septic design, engineering, installation, repair and maintenance. We can design final site plan packages for everything from single family home additions, to multi-tenanted major shopping centers. Our goal is always to provide you with innovative and cost-effective solutions to your septic concerns. Whether you are a homeowner with septic problems or you have a commercial or industrial property, we keep up-to-date with all pertinent septic system regulations and work with regulatory agencies to obtain any and all approvals required for your project. We are proud to have served the Tampa, FL area for 30+ years. You can count on us for residential or commercial septic services that are the best in the industry! 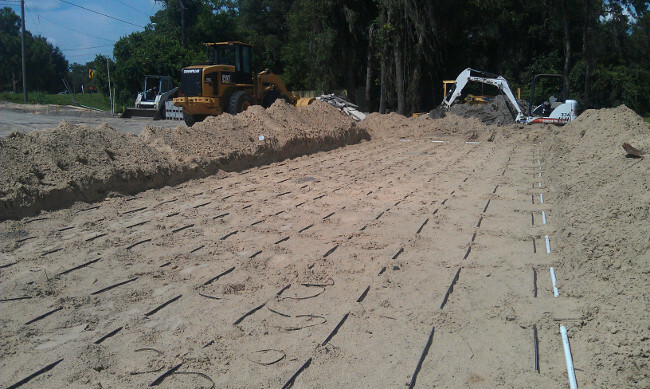 For residential and commercial septic design, permitting, and installation in Tampa, FL, we ensure impeccable results through our proven processes. 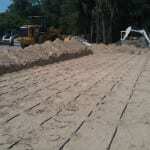 A facility, development, or home’s septic system is an integral part of its overall functionality and convenience. For this reason, the system should be properly installed with careful attention paid to the soil that surrounds it, the permitting process, and the actual installation of all of its key components. Without this precision, the septic system lacks the ability to withstand years of use, and may lend itself to continual situations of financial inconvenience. With over three decades of experience with the design and engineering of septic systems, we really mean it when we say that we do things right the first time! From smaller residential jobs to larger package plant installations, we realize that not every building site in Tampa, Florida is easily developed, and we put our knowledge of various codes and up-to-date technology to good use when we design and install new systems. At Southern Water and Soil, our ability to solve the tougher problems and the fact that we bring in the right equipment during the design and build process not only makes an impression on our clients, but also those who own properties near them. We have been approached countless times by others living or running an operation near an installation site asking us to manage the design, engineering, and installation of their septic application due to the time and care we take during every job. Let us put our knowledge, experience, and impressive credentials to work for you. Contact us at Southern Water and Soil today to discuss your property’s septic needs.